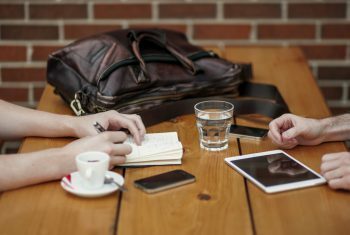 Why should you read this article? Because the ad blocker threat is real. Ad blockers (plugins that prevent browsers from loading and showing ads) have gone mainstream and pose a real threat to publishers’ revenue. A recent study by PageFair shows that as of June 2014, around 150 million users have an adblocker. In the U.S., some 27% of Internet users have downloaded some sort of ad blocking solution. Millenials are most familiar with ad blockers: 41% of users between the ages of 18 and 29 are using an ad blocker. In video game and technology verticals, up to 50% of users surfing are reportedly equipped with ad blockers. All these facts explain why the shortfall of revenue can be bigger than you think: ad blockers account for a loss of 15% to 60% of publisher inventory. It’s clear that the publisher business model, which relies mostly on digital ad-supported revenue, is endangered. How can publishers address the ad blocker threat? Despite common belief, ad blockers still let certain types of ads go through; not for the sake of the user, but for financial reasons. 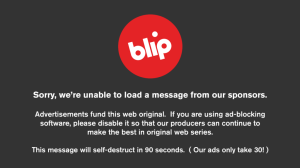 Eyeo Gmbh, the editor of Adblock Plus, the most well-known of adblockers, has not kept up its initial pledge of protecting users from low quality and intrusive ads. Actually, companies willing to pay can be white-listed and keep showing any of their ads. Through its so-called “acceptable ads” program, Eyeo charges companies like as Amazon or Reddit to show their ads. Google reportedly pays $25M each year to deliver an estimated $887 million to ad blocking users. It’s nonsense! To be able to reach the audience they have lost, publishers can either pay a company that has deprived them of revenue or hope to indirectly benefit from advertisers that have already paid to by-pass ad blockers. This is the reason why most publishers have chosen not to pay for whitelisting. It’s also why some have begun fighting with legal action. Eyeo GmbH (the editor of Adblock Plus) is being sued by several German media groups (Axel Springer, TV Channels ProSiebenSat.1 and RTL). The complainants are claiming that distortion of competition and racketeering. The Eyeo Gmbh business model (90% of its revenue) is based on first blocking ads, and then asking for money to show them. – Informative detectors, which remind users when their ad blockers are on and, in turn, raise awareness about the consequences. 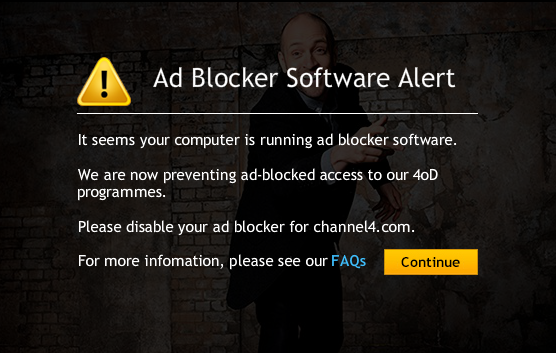 – Coercive detectors, which are scripts that prevent ad blocking users from accessing content. In this case, publishers decide to cut direct costs for an audience impossible to monetize. What is Smart AdServer’s stance on ad blockers? It’s Smart AdServer’s mission to help publishers make the most of their digital assets and we are committed to advising them on the best way to handle advertising threats that put their business at risk. 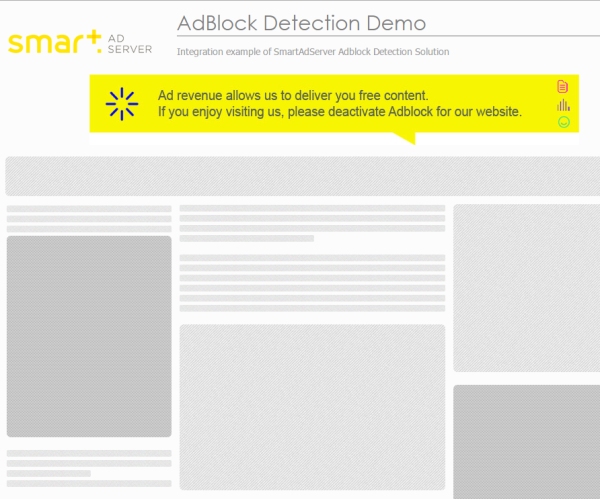 To help publishers face ad blockers, Smart AdServer has created a system that measures the impact of adblockers on inventories. The system can also deliver an informative message to raise awareness about the fact that publishers rely on advertising to survive*. We are also ready to assist publishers in creating dedicated responses to ad blockers by providing the necessary technical expertise.